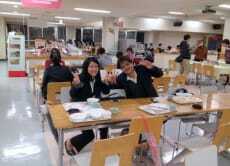 I am a student of Ryukyu University. My major is Business Administration. I go to college while working part-time in the currently IT companies. If you are interested in business and startups, you can support and participate in the event of venture. As I have participated in the business and contest. I love to try new things anyway. My English skill is low, but I am going to try to have fun lunch time with you!